ALL students of TSKC have been entered. £10 Entry fee for 4 categories. Are you behind on lessons? Do you need to attend more lessons to make your quota before the next grading? TSKC is offering you the chance to have private lessons individually or as small groups (no more than 4) to help you reach your quota. Each hourly lesson will count as 3 lessons towards your grading. 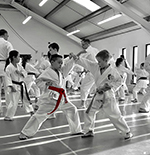 Private lessons will enable you to improve your techniques and fine tune the details in your kata. For full details and more info contact Lester Wellington - Chief Instructor via the online message form on the website. or book your lesson HERE! Ever wondered what to do with the belts from your past gradings? 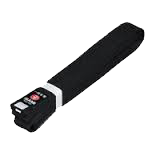 Want somewhere special to display your karate belts? We have your answer! Fully customisable belt racks made to order, to store your belts on your wall or on a freestanding display unit. You can have your name across the top; dates of gradings below the belts; wood left in natural pine or stained to your choice. Many options available. 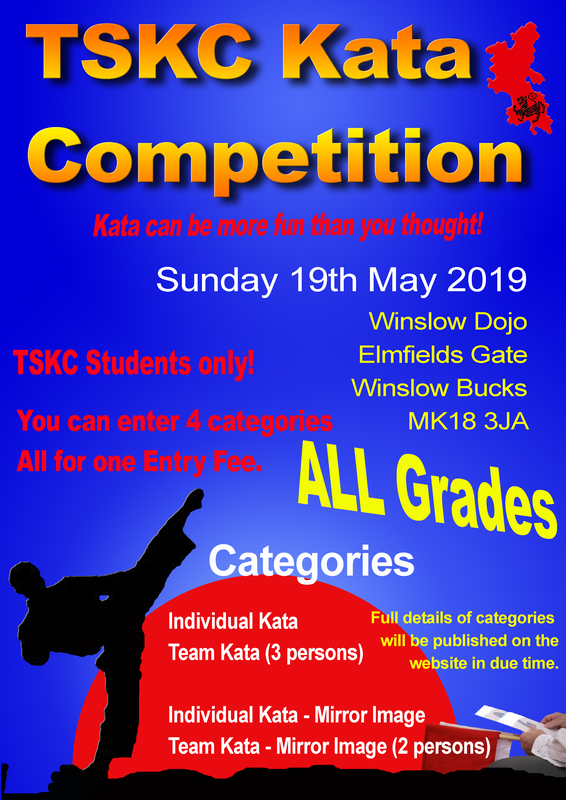 For full details contact Sensei Wellington from the CONTACTS page using the online form. 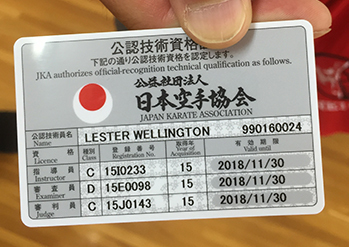 Take a physical assessment with a 3rd Dan or above. TSKC have taken it one step further. 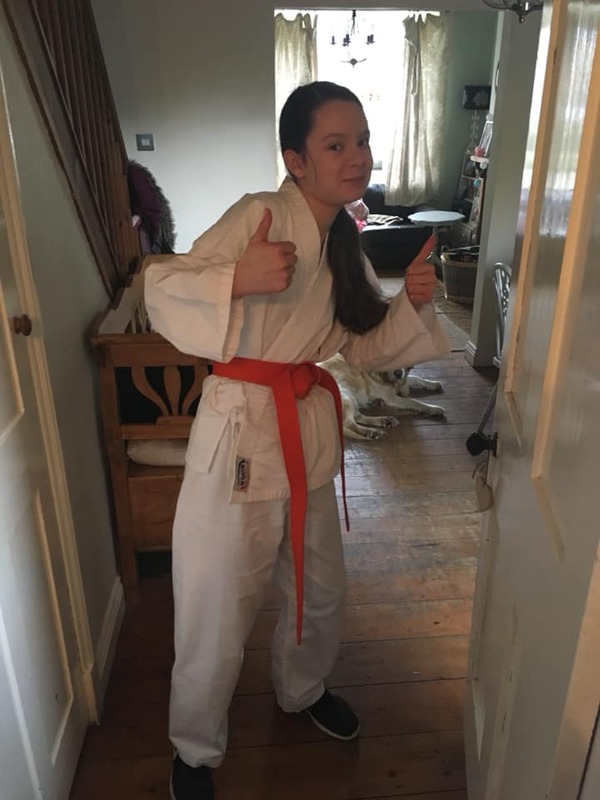 As Black belts, TSKC think it is important that DAN grades have an expected level of knowledge of what they have been learning for the last 3 plus years. 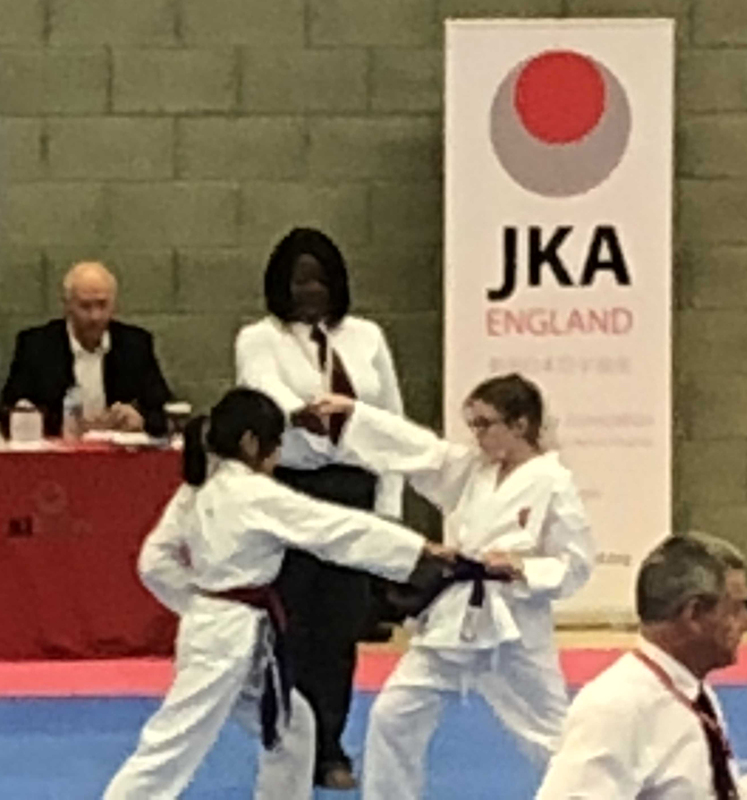 To that end, students must also sit a written exam to test their knowledge on technique, kata, organisation, rules and etiquette in which they need to gain a minimum of 60% pass. Failing the written exam fails them for the whole assessment. 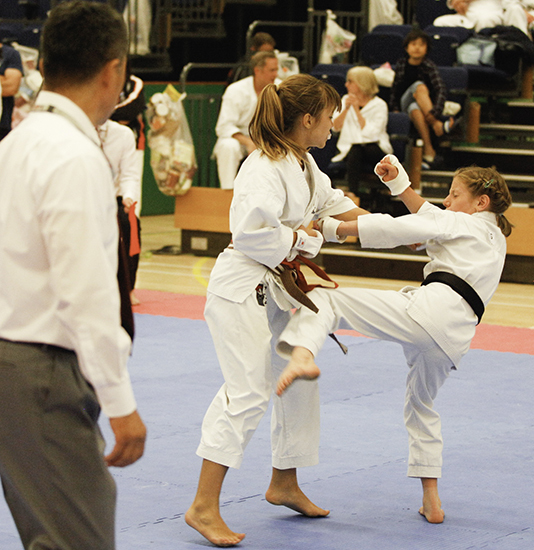 They must also obtain a 60% or more in the physical assessment to be permitted to attend the DAN grading. The results of the assessments can be viewed by the participants only and in each case, only their own. If you took your assessment, you will or should have received an email with your password therein. 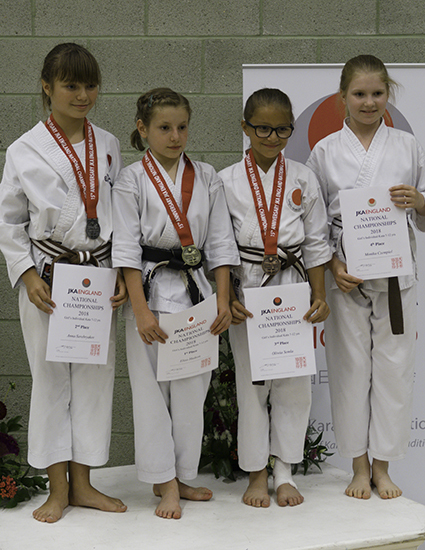 To view your Shodan Assessment Report and Result, please click on the link below. Enter your Last name; First Initial; PWD provided to you via email / SMS in the following format: "Lastname;Initial;PWD" removing the ";" between the format shown. i.e. "BloggsJgy27F6Mh3Z". We don't have a Joe Bloggs in the club so don't use that one! Please note there is no space between any of the input data. Also, you MUST either [tab] to the SUBMIT button or use the mouse otherwise it may result in an error and not accessing your page. The results will be removed after the DAN Grading. 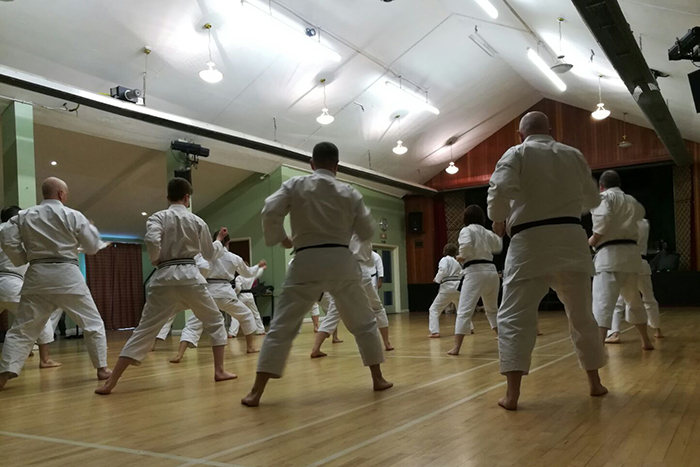 The first grading of 2019 on Sunday 17th March 2019 took place at the Bierton dojo starting with a lesson for all. The grading followed and the students performed their best. Two students worked hard enough to be permitted to double grade. Both students were White belts and graded successfully to Red belt (8th Kyu). Congratulations to Hannah Davey and Andy Hall. 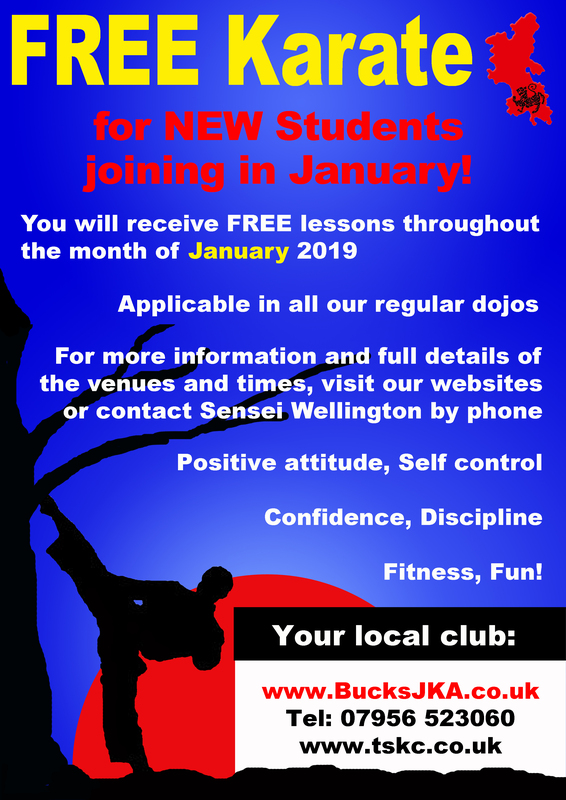 TSKC are always looking for new members to come and join our club whether you have experience in martial arts or not. If you are interested please contact us via our CONTACT page. 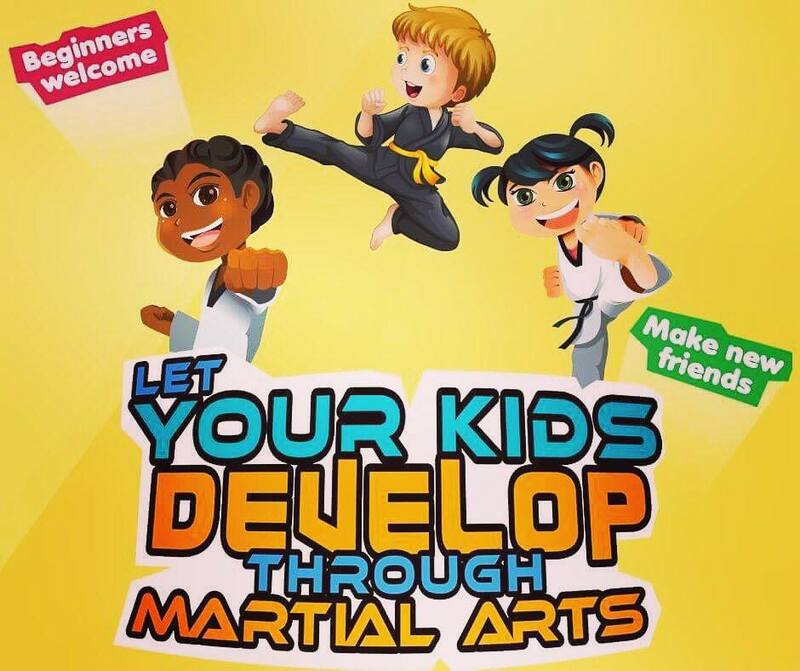 How can you keep your kids occupied during summer which will also install a sense of self discipline, fitness orientated, fun, enhance self confidence and learn something useful in life? 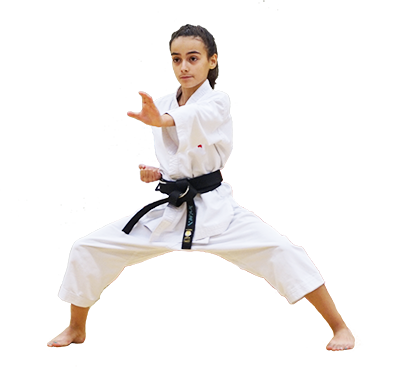 Tairyoku Shotokan Karate Club's are open throughout summer all over Bucks and Bicester where you can learn the Traditional Art of karate. 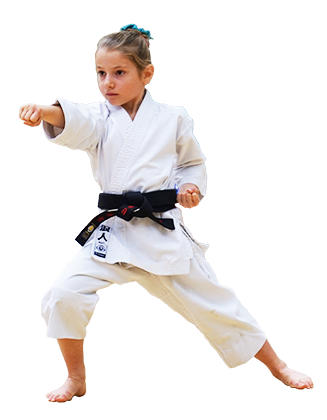 Part of the Japan Karate Association, we provide first class instruction in a family and friendly environment. The first lesson is FREE but watch out for special introductory offers! For more details checkout the website fully or contact the club. What have you got to lose? Nothing! 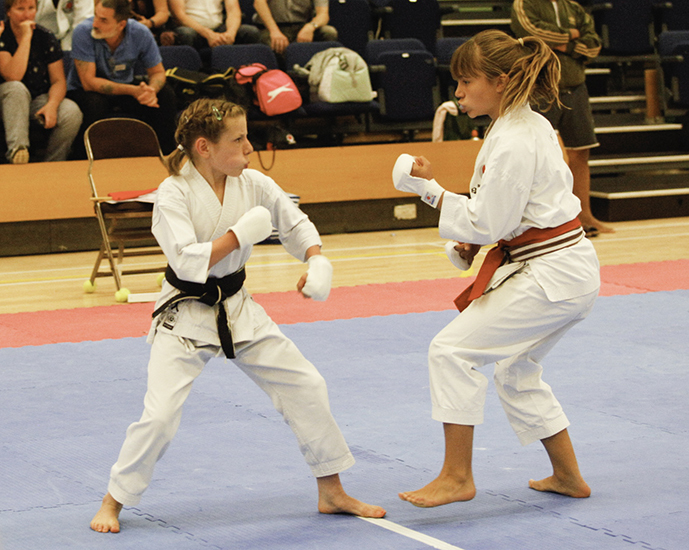 There will be 3 person mixed Team kata and a 2 person mixed Mirror Image Team kata. Full details published on the EVENTS page. Every Member must complete this FORM. 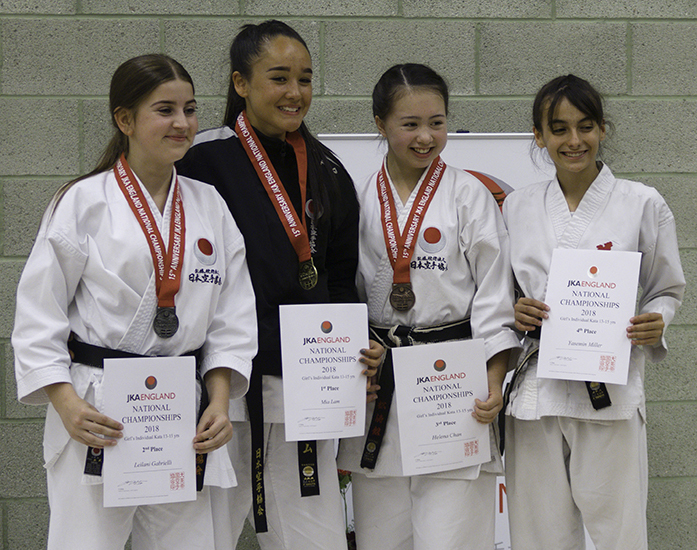 TSKC still managed to pull together two teams for kata one of whom made it through to the finals where they won Bronze. 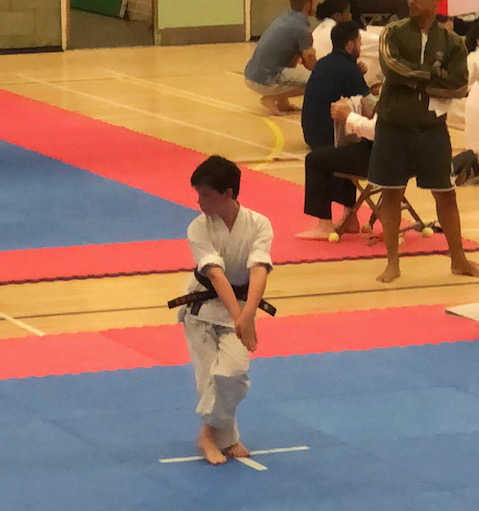 Leon performed extremely well in both Kata and kumite getting through to the last 8 in both. Medals will soon be falling his way if he keeps this up. 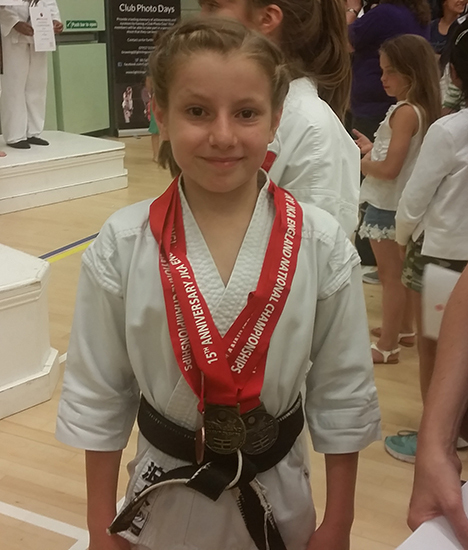 Eleanor won Bronze in her kumite category. Maisie, Euan, Chloe, Jo and Emily, despite not getting medals, held their own and did their best during the elimination rounds. 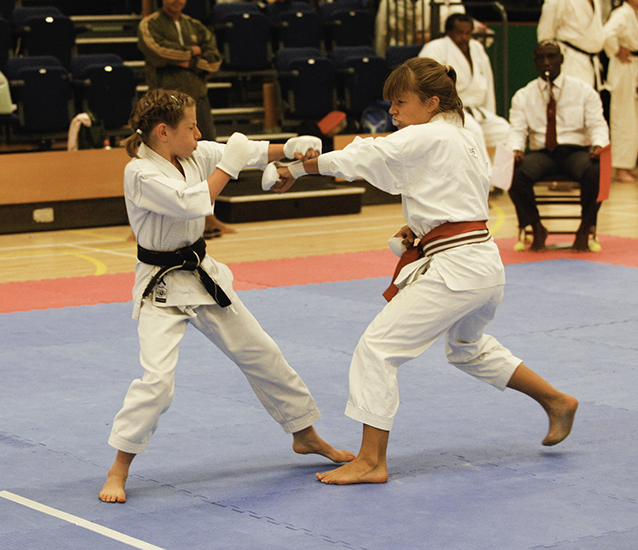 Emily, apparently performed her best yet kata but was beaten by a competent opponent. Eva had an extremely good completion especially when she faced Mia Lam in the eliminations and gave as good as she got. Well done Eva. 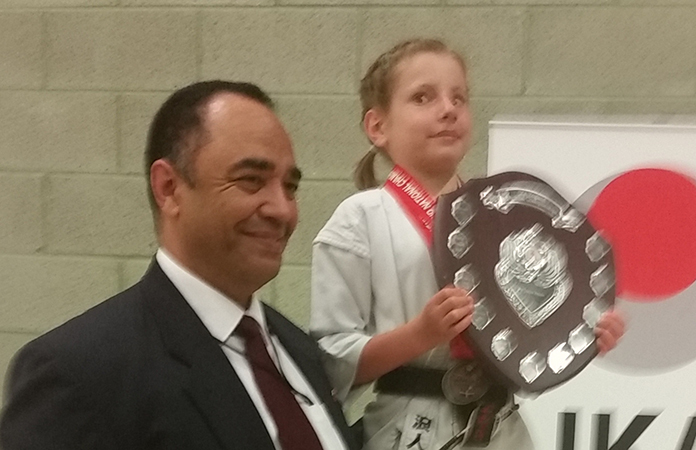 Yasemin got through to the finals in her kata category and after a gruelling re-match, attained 4th place. 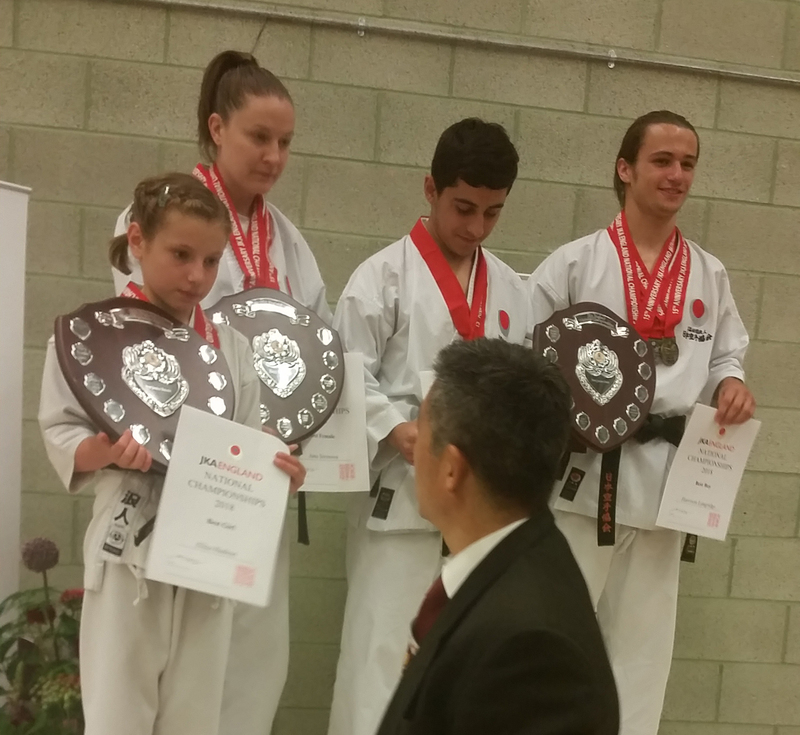 Top 3 were all JKA England squad members. 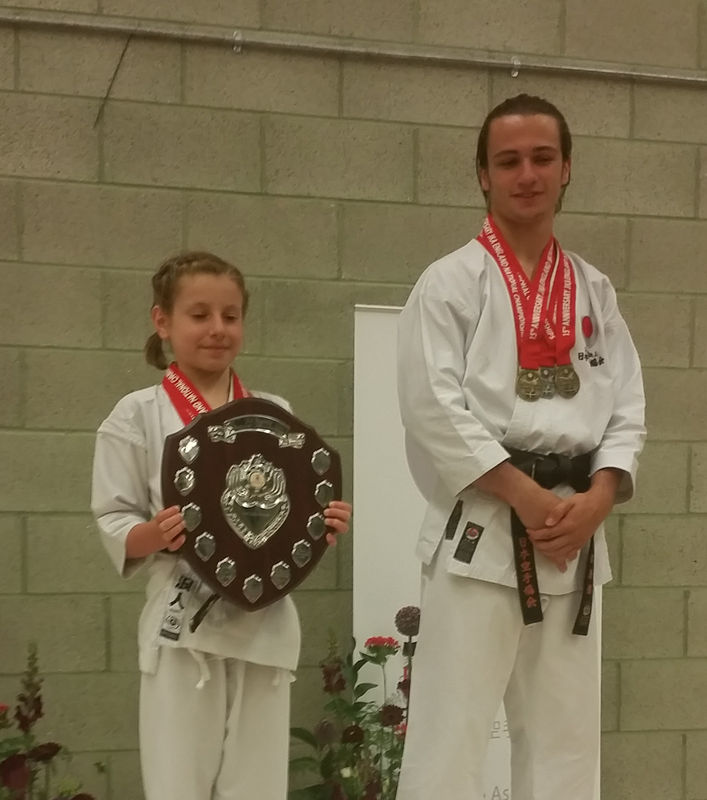 Keira performed well in her individual categories and was integral in the team kata placing 3rd. Well done. Eliza did what she does best - compete! 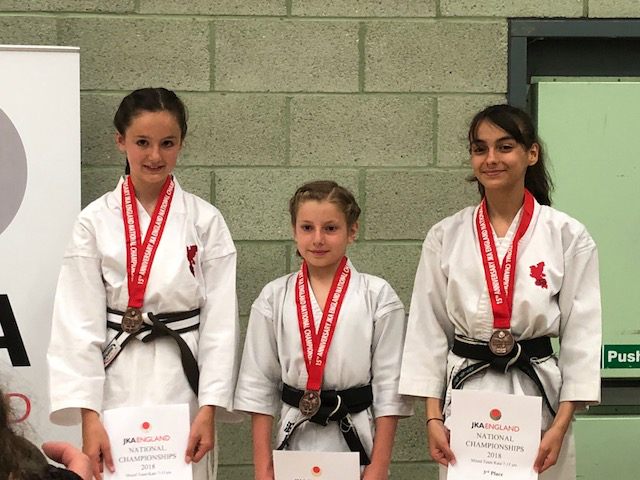 Winning Gold in Kata, Silver in Kumite and Bronze with Keira and Yasemin. All was not over yet. 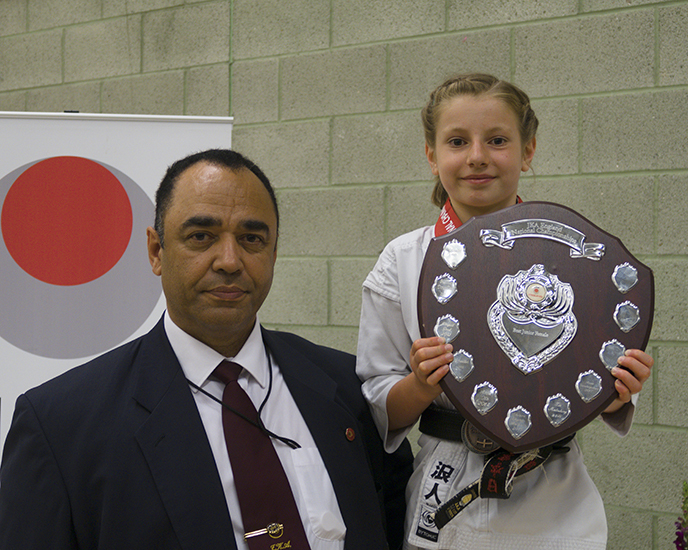 Eliza was also presented with a shield as the best overall Junior competitor during the Championships. I believe this is the second time she has won this. At the age of only 10yrs old, you really must appreciate just how good she is. Going forward, third dan and above gradings will now only take place at the International Courses twice a year. 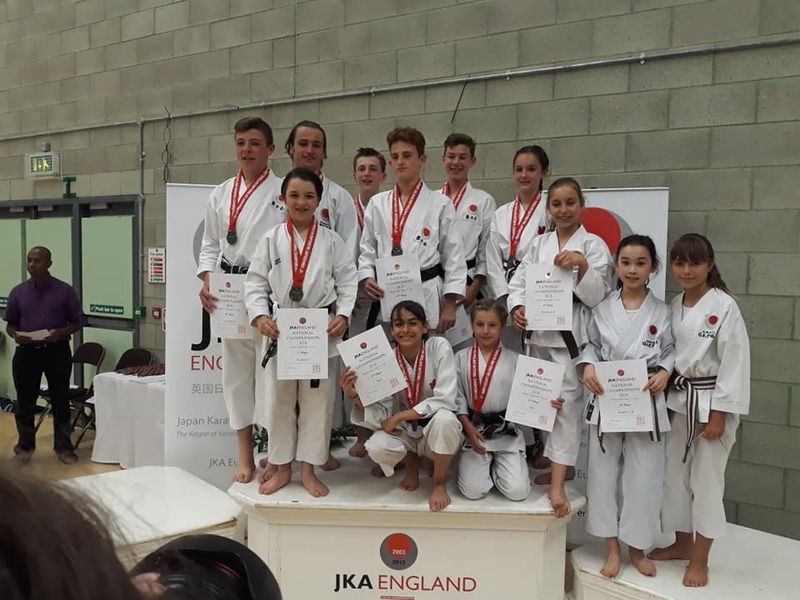 To be eligible to grade at that level you must have attended a JKA England National or International Course in the preceding year and attend all days of the course (4 days in Spring and 3 days in Winter). 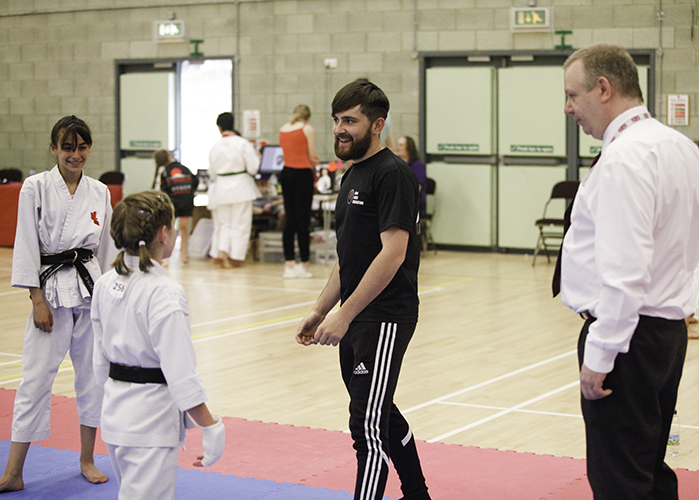 Other dan grading events will only be up to second dan and the rules remain unchanged. 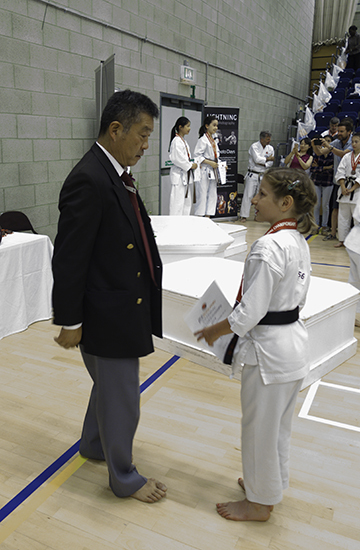 As you know, the English Karate Federation requires that all JKA England Chief Instructors hold a Child Safety and First Aid certificate. We held a very successful course First Aid Course in the South East and are currently arranging a course for each of the another regions. Details will be sent to you via your Regional Representative when finalised. JKA England has adopted the NSPCC online Child Safety Course. The link to the webpage is below. For those of you who received an email regarding the EKF coaching license please do not complete and return the form until you have both the Child Safety and First Aid certificates. As I am sure you are aware, this year is our 15th Anniversary. Our May course should be especially interesting with Imura, Kobayashi and Mai Shiina Sensei’s coming over from JKA Headquarters in Tokyo as well as our good friend Sawada Sensei from Belgium. It would be great to see you and your students there supporting the Association. 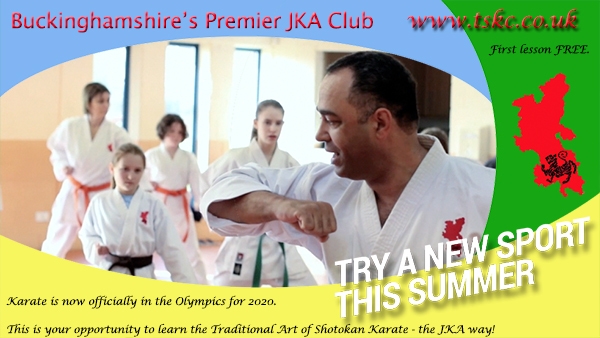 With karate now being a feature in the next Olympic games, this is your opportunity to join our club and learn the Traditional Art of Shotokan Karate, the way it is taught at the Japan Karate Association (JKA) in Japan. 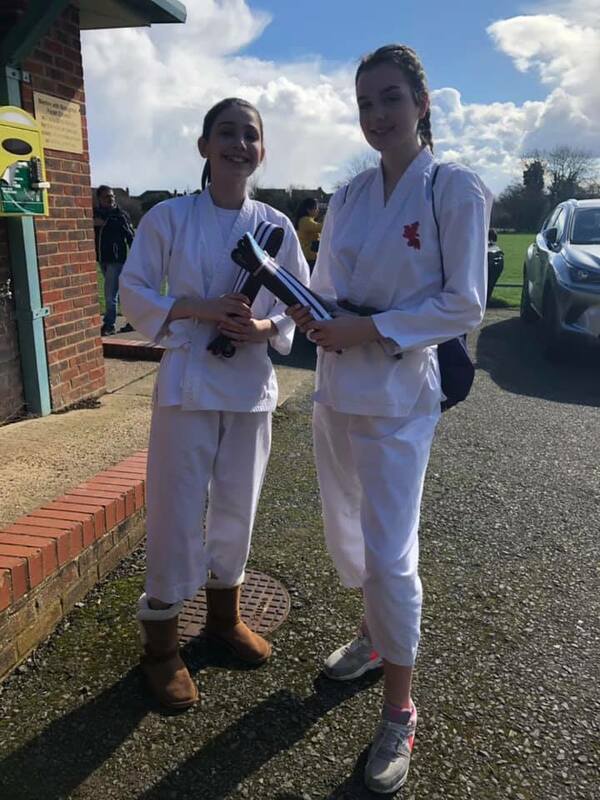 Tairyoku Shotokan Karate Club was the first JKA England club in Buckinghamshire and has Dojo's spread across the central and northern parts of the county. With Classes being held Monday to Saturday, there should always be a class for you to attend. 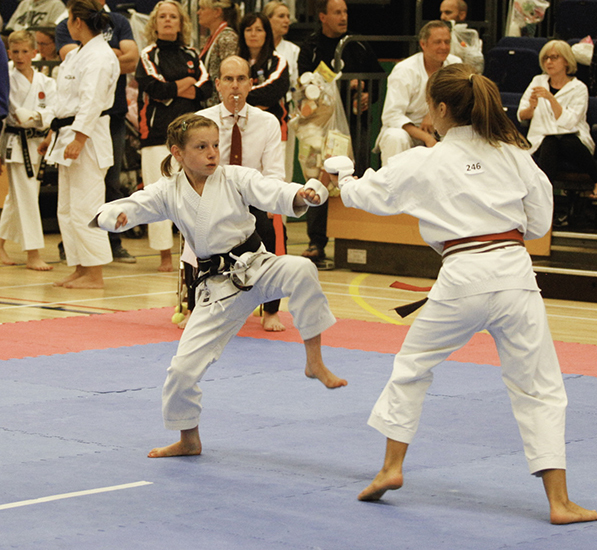 Gradings for the students takes place every 3 months at our Bierton Dojo. Training is in a family friendly environment. We invite Novices, beginners and advanced students to come and join us and see what it's all about. At long last, my desire to visit JKA HQ's in Japan has happened! My previous plan to attend the Gasshuku in 2011 was scuppered when Japan suffered an horrendous tsunami. Timing was just not right - until now. So on Sunday 11th October in company with Gary Stewart, Giuseppe D'Onofrio and Thaier Gabrial we set off from Heathrow Airport, Terminal 2 for Tokyo, Japan. We were stopping off in Turkey en route, however, the four hour flight did not really prepare me for the subsequent 11 hour flight from Istanbul to Narita, especially as I had not managed to get a seat with extra leg room. We spent approximately two hours discussing different aspects of the Gasshuku and pending Qualification exams. We were also meeting up with Adel Ismail who had flown out a week earlier for extra training. We were all participating in Qualification exams or gradings of some description which included Instructor, Judges and Examiner Licences. Adel and Gabrial were both taking gradings. Having arrived at Narita, we had missed the early coach to take us direct to our hotel so we decided to take the train. We arrived at Suidobashi station which was a 3 minute walk from the hotel, which after all our travelling was so welcomed. Settled in to the hotel, got changed and went to explore Tokyo City Dome as it was a holiday and there was a home baseball game going on. It was also an experience to see the locals dressing up in their anime costumes. After an afternoon nap, it was down to the British Pub for refreshments. This became a focal point to meet up with our JKA friends. We attended JKA Honbu for two days before Gasshuku to train in regular classes. These were awesome. It gave us the opportunity to get used to where to go and what to do. For Gabrial and myself, it was our first visit to this wonderful country, so lots to take note of. Gary, Gabrial, Joe (Giuseppe) and myself were all taking various levels of Instructor, Judge and Examiner. We were all together in the same class for the Gasshuku. I would estimate that there were about 70 - 80 in our class who were either taking exams or grading. We had two classes per day and also practical and written exams taken during the course of the Gasshuku. 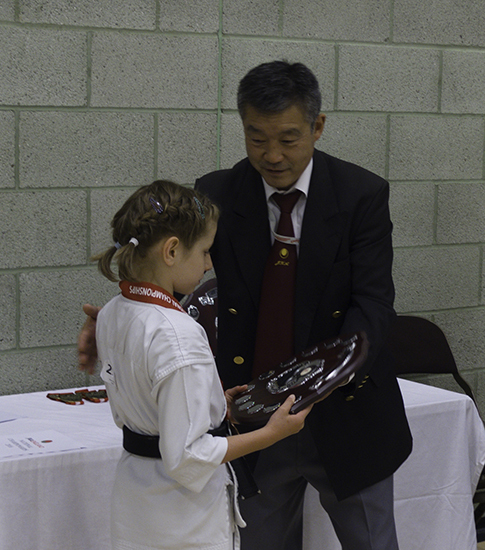 The Grading results were given out on the Saturday evening. Both Adel and Gabrial passed their gradings, 6th and 5th DAN respectively. Gary was the only student who was taking B Examiner to pass. I am pleased to say that I passed all three of my exams. 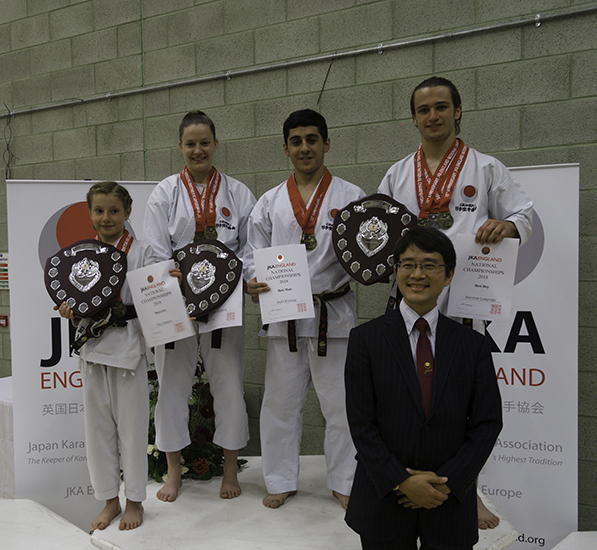 Out of the estimated 75 examinees there were only 26 successful students - all five JKA England participants passed. 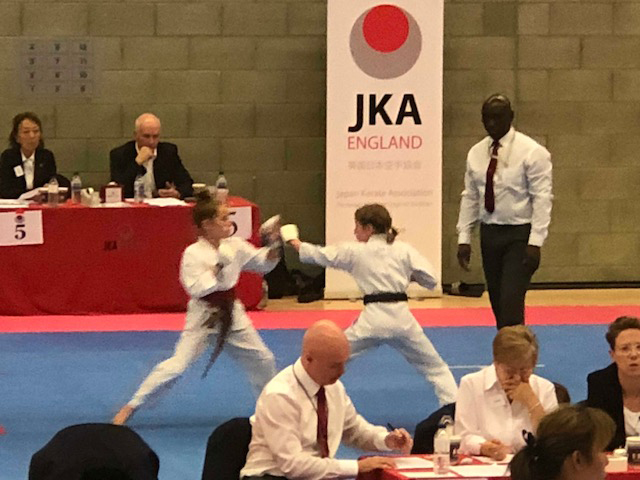 What a result for us and a great advertisement for JKA England. 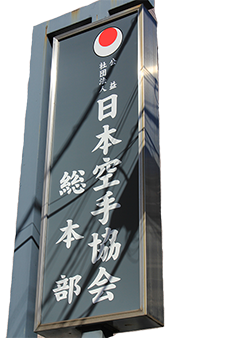 I thoroughly recommend all students, if you ever get the chance, to go and train at JKA Headquarters. Maybe I feel a club outing coming on. Who's interested? It doesn't matter if your tall or short, trust me being short i know! You have to believe/trust in yourself and always give 100% every time, whether your competing or training.The competition was individuals but as a club we support each other. Alisha,Priya and I all supported each other through out the day and that boosted our confidence. My day started off quite late when i started competing. I got nervous but knew i was going to do my best and believed in myself. 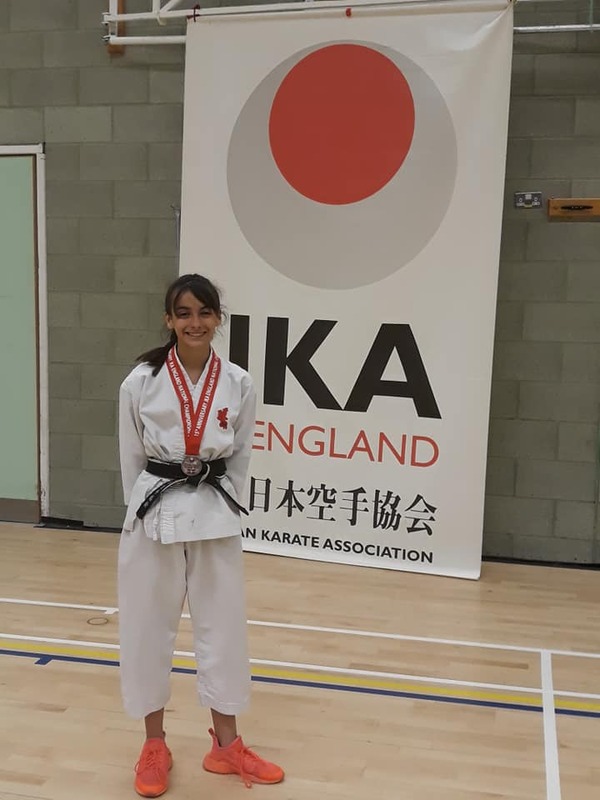 I got in the final for kata which i was really happy about- and got third, i was also 0.1 points away from silver and 0.3 from gold. Kumite i was a lot more anxious about. 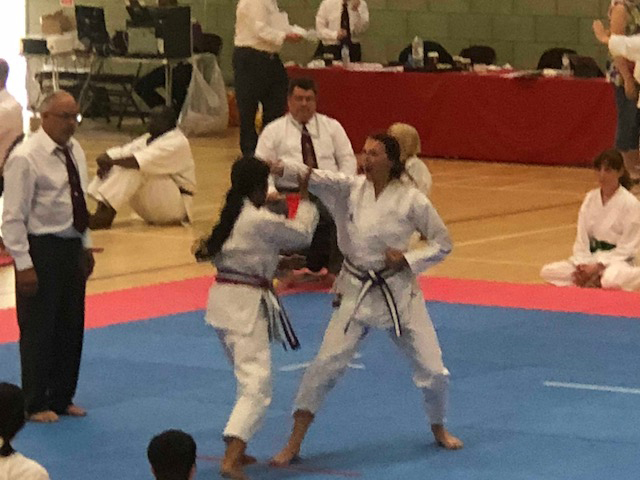 I got into the 3rd round and this was freestyle, i was up against a girl from Scotland that was twice the size of me but i managed to come joint 4th place over all and scored half a point when punching her in the eye. Unfortunatley I also got badly punched in the jaw/cheek and was unable to continue but I'm proud of myself. 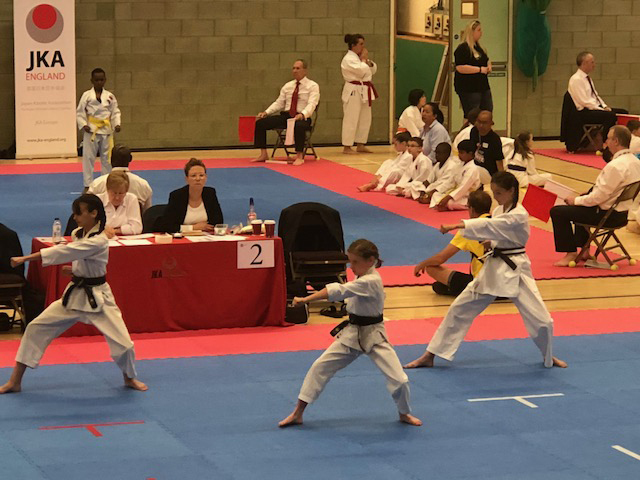 Mummy and I set off really early on Saturday morning to drive to The K2 Arena in Crawley because I was competing at the 4 Nations Championship. I felt really anxious but excited at the same time, I had butterflies in my tummy. When we got there, Dave, our coach, put my sticker on my back and mummy and I checked my categories on the wall so I was prepared. When I walked in to the Arena I felt a bit nervous but saw lots of familiar faces from previous competitions and also from our club and that made me feel much better ! 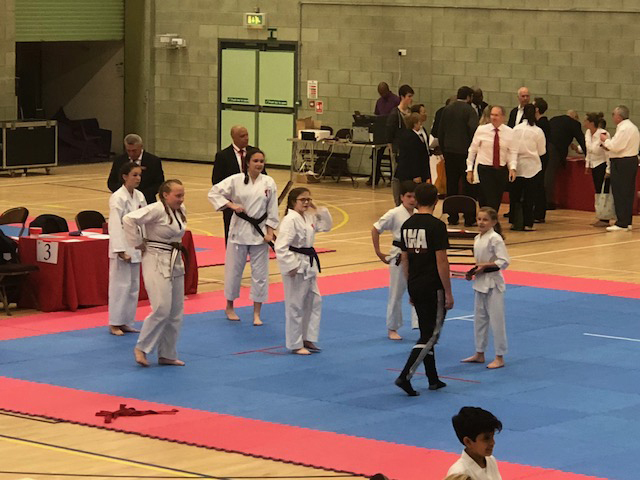 We done our club warm-up and then I had to wait a very long time for my first event which was my kata but it was worth the wait ! I did as Sensei Lester told me, walked confidently onto the mat, bowed and spoke clearly. I didn’t do Heian Shodan like the other finalist did because it would have to be perfect ! I did Heian Yondan which won me my first gold medal in karate ! I was very happy ! 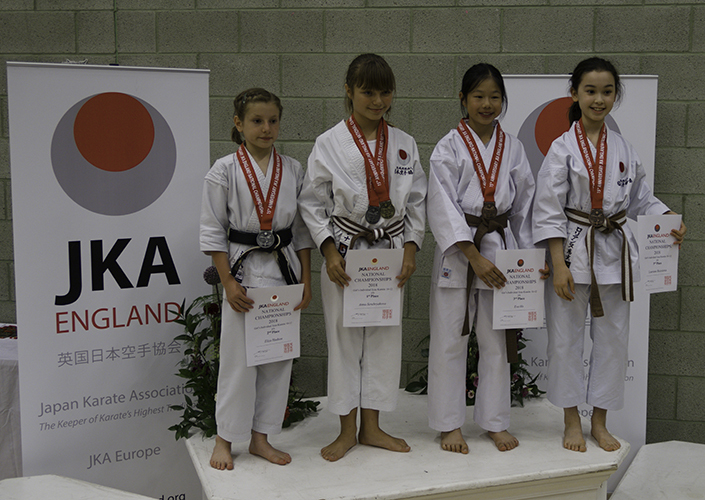 I then had another long wait for my kumite which I really enjoyed and won a silver medal. 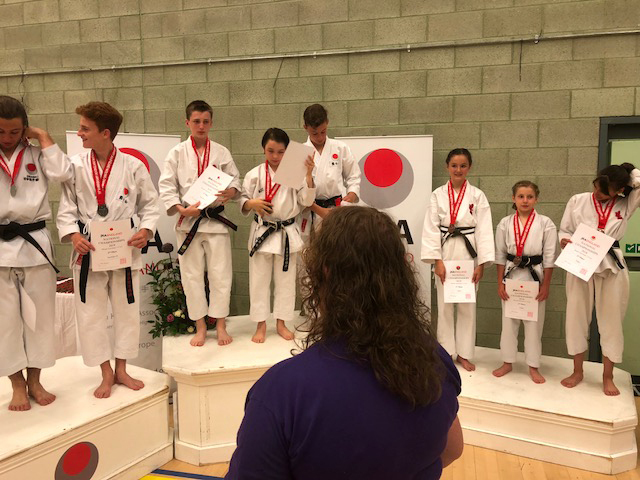 It was exciting to be awarded my medals and certificates by the chief instructor, Sensei Ohta, although he says my name wrong, he calls me “Eleeza” but that’s ok! I felt very proud stood on the podium ! I can’t wait for the next competition so I can add to my medal collection !!! 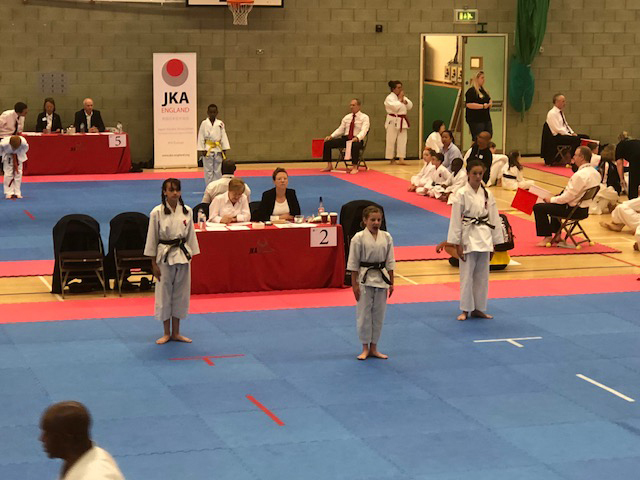 I was really excited but very nervous to be attending my first competition for TSKC organized by JKA England. I quickly got to grips with how to go on and off the mat. The referees were all kind and they explained how we would know if we won or lost our round this was by red (aka) or white (shiro). If you were red you would have to put on a red ribbon. In my Kata I was up against a couple of people I recognised and some others I didn’t know. 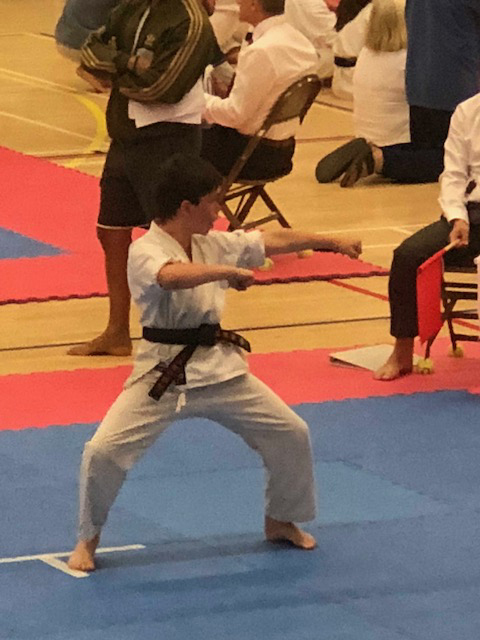 My Kata went well and I ended up getting a Silver medal which I was incredibly pleased with. For the kumite it was all girls. 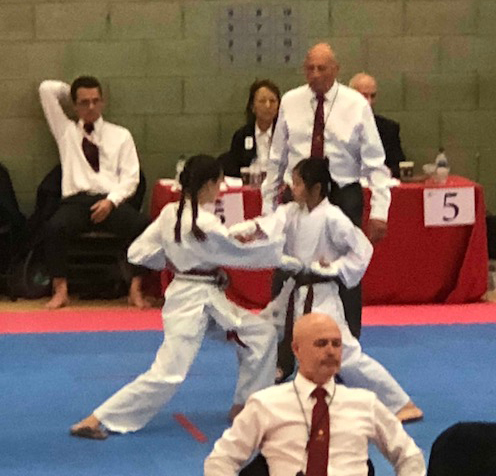 It was a bit scary as after I did my second round the judges all had a conflab as apparently I positioned my fist higher than I should have done _ I didn’t progress further than that round. I ended up getting a Bronze medal that I’m still really pleased about. 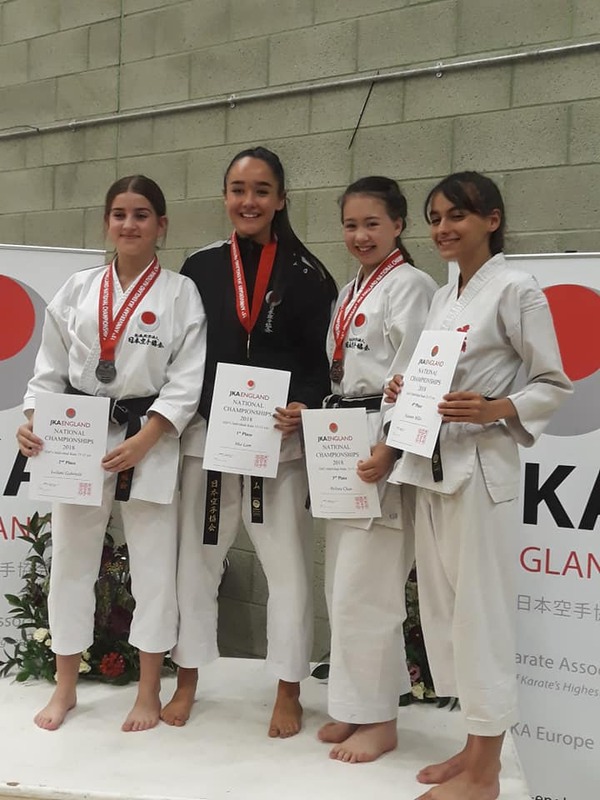 The medal ceremonies were great and I’ve got some great memories of watching all of the brown and black belts doing freestyle kumite too – something to aspire too! I had a great day and can’t wait to attend my next competition.